Directors and officers liability insurance, also known as D&O insurance, is considered one of the most important types of insurance for nonprofits. 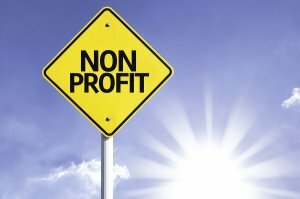 Officers and directors of nonprofit boards have special responsibilities, such as the duty of care and the duty of loyalty, to advance the charitable goals of the nonprofit and protect their assets. Any allegations of misconduct may require officers and directors to defend themselves in court or face considerable liability exposure. Duty of care standards imposed on officers and directors of nonprofits have tightened in recent years. To protect yourself and your nonprofit organization, read below to learn about the three primary types of D&O insurance in New York City and other U.S. cities. Also known as A-Side coverage, this type of insurance covers the right of directors and officers to receive payment from the insurance company for defense costs and liability in the event of a lawsuit, provided they do not have a right to be indemnified, or indemnification is not available due to insolvency. Sometimes referred to as B-Side coverage, this insurance covers the nonprofit surrounding reimbursement for money paid to satisfy indemnification claims that the directors and officers may make against the nonprofit. To receive coverage, these indemnification claims must be made against the nonprofit under corporate law or the organizing documents of the nonprofit. Insuring Agreement C Coverage, also called C-Side coverage or entity coverage, is the third type of D&O insurance . It provides insurance for the nonprofit entity for its own wrongful acts. Typically this insurance is purchased to cover security claims and to avoid an allocation of benefits between the nonprofit and its officers and directors. Insurance companies can provide one or more of these types of D&O insurance policies.